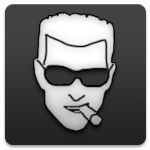 Any chance for Ultimate Duke Nukem 3d? Excellent work, it gets better and better over time. Any chance to include Vixens, Predator TC, Duke Meets Doom and Duke In Black TC in next release? Blood Vengeance hasn't added any friends yet. Blood Vengeance has no profile comments yet. Why not say hello?